The foundation documents of the Band are dated 1922 but some previous texts proof the activity of a fanfara in the local oratory. 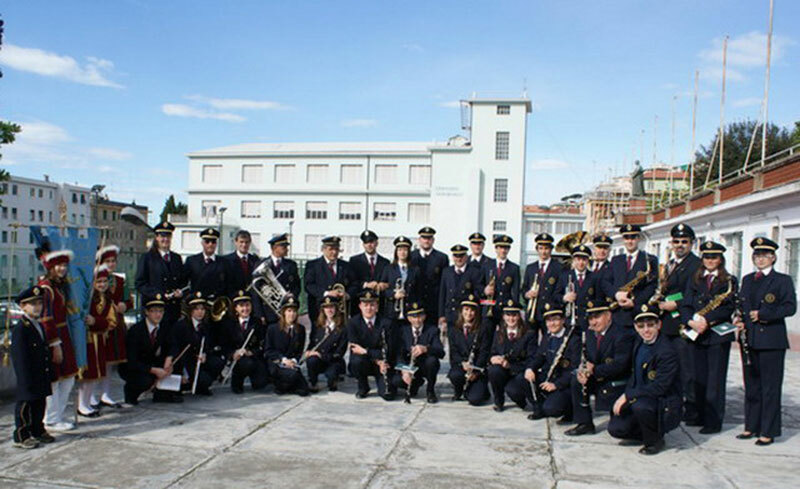 The Band has grown inside the oratory Don Bosco, heart of the social activities in Varazze. Through the years the maestros has improved the musical level of the group and actually is directed by maestro Ambrogio Guetta. The orchestra is composed by about 30 musicians of different age. It has it’s own activity in the local territory but also in religious and civil ceremonies in Varazze and surroundings, as processions and celebrations; the concerts are important and traditional appointments very appreciated also by tourists in Summer period. The band is interested in social-cultural improvement, is twin band with some groups from Piedmont as Montecrestese, Ghiffa, Santhià and Nizza Monferrato. Vital element of the band activity is the music school, specialized in music theory and solfège courses and instruments courses.